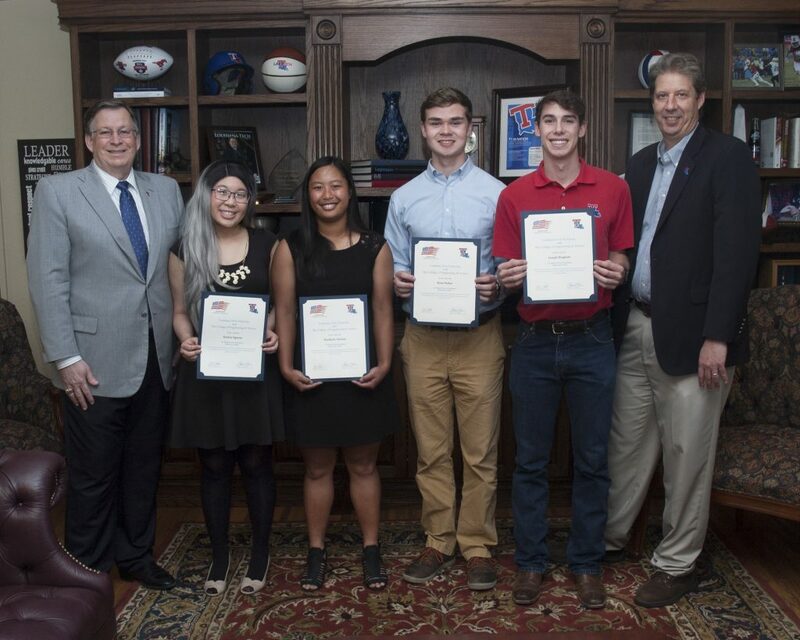 In response to the critical shortage for highly trained professionals in cybersecurity, the National Science Foundation (NSF) has awarded Louisiana Tech University a $3.5 million grant through their CyberCorps®: Scholarship for Service (SFS) program (https://www.sfs.opm.gov/). (federal/state/local/tribal) and national labs to defend the nation in the cyberspace. Louisiana Tech is among an elite list of 69 higher education institutions in the nation who run this program. $22,500 as a stipend (for undergraduates) and $34,000 as a stipend (for graduate students). Louisiana Tech’s CyberCorp® is a hybrid program that offers two paths for students: a Bachelor’s Degree Only program and a Bachelor’s + Master’s Degree program. Recipients must be eligible for concurrent enrollment in the Master’s of Science in Computer Science program (see the University Catalog for concurrent enrollment requirements). to obtain a security clearance. NO EXCEPTIONS! Work a paid summer internship with a participating federal, state, local or tribal government agency, or federally funded research and development center. SFS recipients must serve at a government agency (as described above) in a cybersecurity position for a period equivalent to the length of the scholarship support received or one year, whichever is longer. All SFS Scholars must complete and sign a Service Agreement form to receive the SFS Scholarship award. Submit all application materials to apply. All application materials should be submitted by March 29, 2019. The selection committee will review applications in April to potentially make seven SFS awards for the 2018-19 academic year. Shortlist candidates may be asked to have a short interview with one of the SFS@LATech project faculty to review Service Agreement requirements and verify the applicant’s interest in civil service. SFS awards will be made and applicants notified by May 3, 2019.